Making The Old Look New!! Commercial and residential pressure washing, deck and fence refinishing, yard debris cleanup, gutter cleaning, and more.. Veteran owned and operated. Having your driveway and sidewalk cleaned can add so much to the look and feel of your home or business. If your driveways, walkways, patios, or sidewalks look like the before photo's below, please have me give you a FREE estimate with absolutely NO obligation. This is a large driveway, if you have a driveway like this , save your time and back and give me a call. It's not that expensive and far worth it. This is an old exposed agriget walkway. 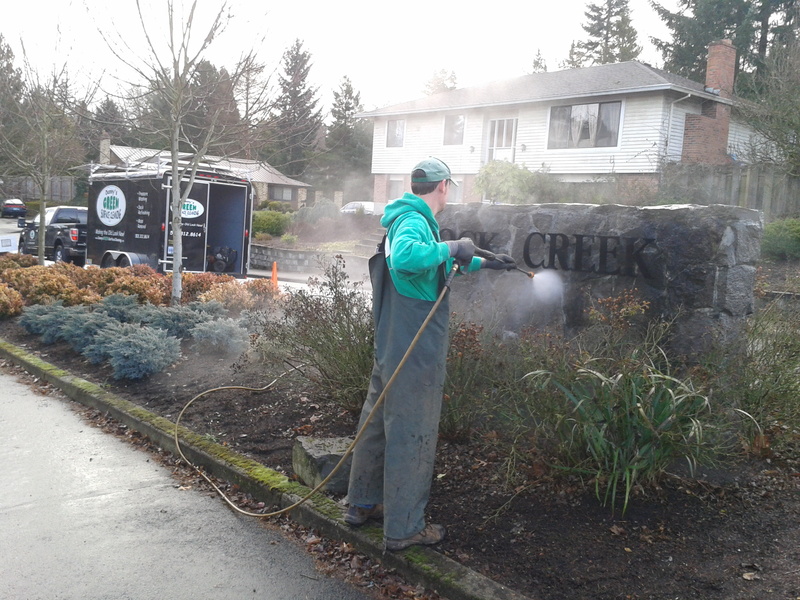 In order to not damage the walkway with a pressure washer we use a secial tool that uses less pressure. This tool is designed for large surface areas to clean without leaving lines that a gun would do. Call and schedule your FREE estimate with NO obligation. Or send us your contact information. "I had Danny's Green Surface Cleaning pressure wash my two patios, sidewalks and the driveway today. To say I am pleased is an understatement. I am extremely happy and pleased with his work. Danny is conscientious, thorough, professional and a pleasure to work with. He did a very detailed job, and I am recommending him to all my friends. Treat yourself - give him a call. He makes your cement look great." Copyright 2010 Danny's Green Surface Cleaning LLC.. All rights reserved.